Trump’s visits to areas of Northern and Southern California, gave him a grasp of the desolation in the heart of California’s killer wildfires. Before returning to Washington, Trump met briefly at an airport hangar with families and first responders touched by the shooting at the Borderline Bar & Grill in Thousand Oaks . President Donald Trump has acknowledged Californians this weekend suffering from twin tragedies. He walked through the ashes of a mobile home and RV park in a small town all but destroyed by deadly wildfires. And he privately consoled people grieving after a mass shooting at a popular college bar outside Los Angeles. 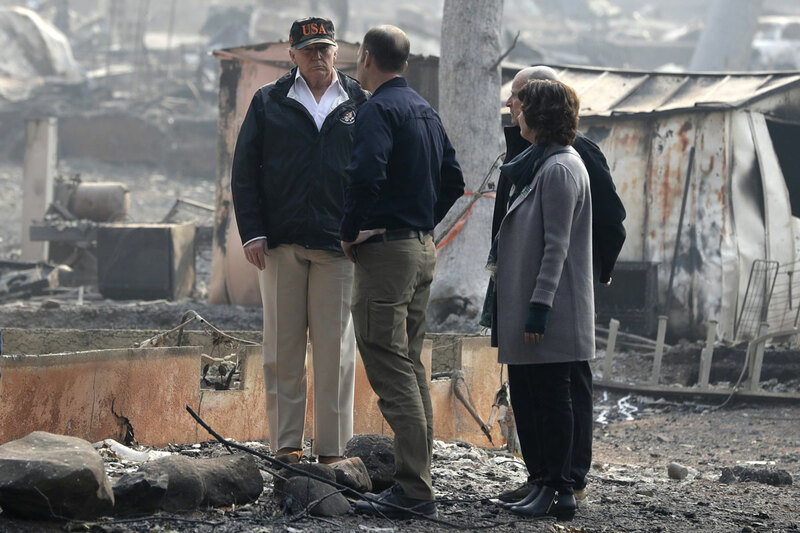 Trump’s visits to areas of Northern and Southern California in the aftermath of unprecedented wildfires that have killed more than 70 people gave him a grasp of the desolation in the heart of California’s killer wildfires. Before returning to Washington, Trump met briefly at an airport hangar with families and first responders touched by the shooting at the Borderline Bar & Grill in Thousand Oaks more than a week ago, which left 12 dead. 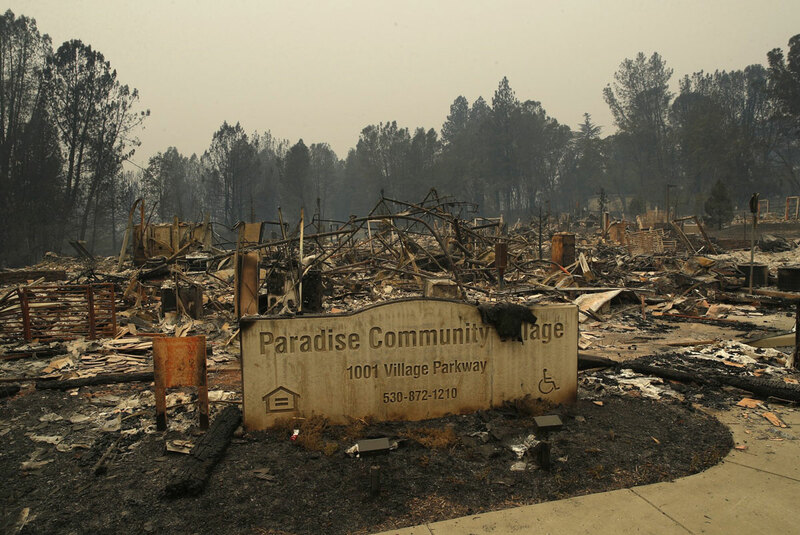 Northern California crews battling the country’s deadliest wildfire in a century were bracing for strong winds, with gusts up to 50 miles per hour, creating the potential to erode gains they have made in containing a disaster that has killed at least 76 and leveled a town.